The Prime Minister has declared that “Brexit means Brexit” and has promised that Article 50 Treaty on European Union will be triggered by the end of March 2017. This should mean that the UK will cease to be a member of the European Union by the spring of 2019. But what will the relationship of the UK with the EU actually look like? There are a number of possible legal models for the UK’s new relationship with the EU and the rest of the world. The problem with all of these models is that they are based on existing treaty infrastructures and trade deals struck by other countries. Due to the political issues caused by the Brexit vote and the relative importance of the UK economy within the broader European economy, a tailored arrangement adopting several of the existing models is the most likely result. 1. complete withdrawal from the EU without membership of any European trading bloc. This would give the UK unfettered freedom to negotiate bilateral agreements with other countries without compromising on freedom of movement and other fundamental principles of the EU. On the downside, it would result in all applicable EU legislation ceasing to apply to the UK and so desirable EU legislation would need to be grandfathered into UK law. 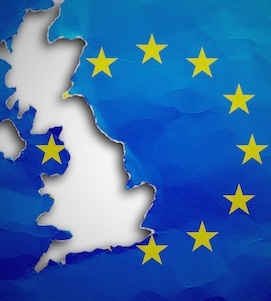 Further, UK financial services firms could potentially cease to have passporting rights into the EU adversely impacting on the financial services sector in the UK. 2. joining EFTA (the European Free Trade Association) and rejoining the EEA (European Economic Area). EFTA is a free trade organization made up of Iceland, Liechtenstein, Norway and Switzerland. Iceland, Liechtenstein and Norway are members of the EEA. The EEA is made up of the EU states plus Iceland, Liechtenstein and Norway. The UK is currently a member of the EEA as a result of its EU membership. This membership will terminate when the UK leaves the EU. However, the UK could re-join the EEA by re-joining EFTA. However, apart from the UK having to resolve some serious political considerations, this approach would likely require new treaties between (i) all current EU states dealing with the UK’s withdrawal from the EU, (ii) the EFTA states on the UK joining EFTA and (iii) the remaining EU states and the EFTA states in respect of the UK rejoining the EEA via its EFTA membership. Whilst this approach would allow the UK to access European markets (albeit potentially subject to tariffs), it would likely have to accept the principle of free movement which is currently politically toxic in the UK. 3. joining EFTA without rejoining the EEA. This is the model adopted by Switzerland. The UK would have to negotiate a bilateral agreement with the EU to access the EU internal market and would likely be subject to tariffs on trade deals with the EU. Financial services firms could potentially not benefit from passporting rights. 4. entering into a free trade agreement with the EU under WTO terms. This would replicate the relationship of Canada with the EU. Canada has not been given full access to EU markets and so it is likely that the UK would not either. The UK would need to negotiate access to EU markets, quotas for trade and the level of tariffs on goods and services. 5. agreeing a customs union with the EU. This replicates the Turkish model. The UK would have partial access to EU markets and customs checks would not be required for the goods falling under the scope of the agreement. However, the UK would be forced to implement comparable rules in areas such as competition, state aid and protection of the environment. The UK would be free to negotiate trade deals with non-EU countries but any tariffs under those agreements would have to match EU tariffs. Buckworths will be publishing further detailed analysis of specific areas of concern for UK business arising from Brexit.